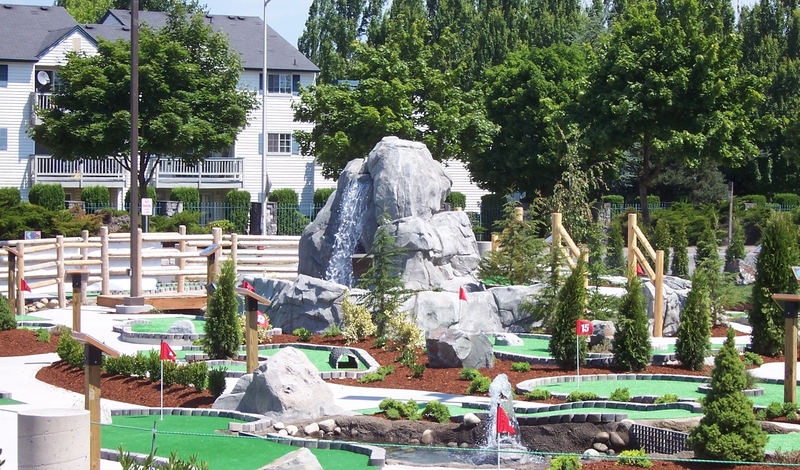 Test your short game at Kent Valley Miniature Golf, located adjacent to the Ice Centre. Visit our exhilarating course with 18 holes of pure adventure. Pit your skill against each challenging hole and see just how good your putting game really is. You never know what is coming right around the corner on our course. It features dangerous water hazards just waiting to swallow your ball, challenging jumps that will test your aim, and even a 10-foot waterfall that will provide the perfect backdrop for your hole-in-one. Kids and adults alike are sure to enjoy every putt as they battle their way to the end.